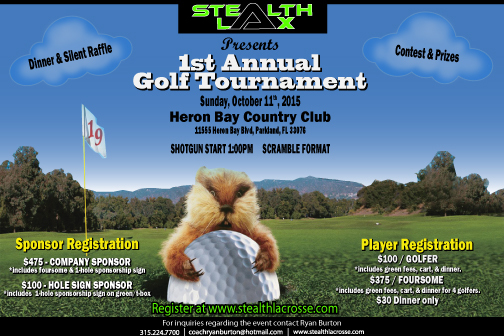 $100/Golfer - Includes Green Fees, Cart, & Dinner after the event. Contact Ryan Burton for details. Get a personalized company sign at one of the 18 holes for the duration of the tournament. Click the "Register Here" link below to reserve your spot in this event. Feel free to contact Ryan Burton with any questions or concerns.